The auction will be held at Stevens’ gallery in Aberdeen, Miss., near Tupelo and Columbus. ABERDEEN, Miss. – A gorgeous Prudence Mallard five-piece bedroom suite, a Sevres three-sided capped urn, a bronze sculpture of fighting bulls signed by the French artist Jean Baptiste Clesinger (1814-1883), a fully restored 1933 V-8 Cadillac in showroom condition, and a two-piece marble statue of a little girl and cat signed “Napoleone Ruffini” will all come up for bid. 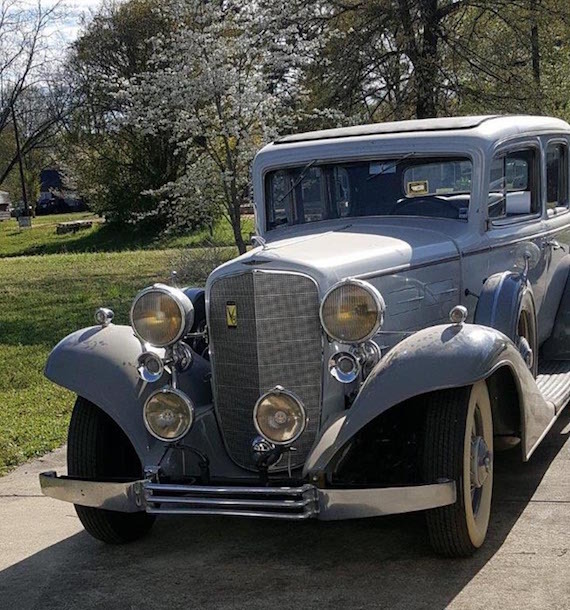 1933 V-8 Cadillac, gray in color and looking virtually brand new, restored ten years ago and kept snug in a heated garage ever since.